When you think of Walt Disney, you often think of fairytales, theme parks, and Mickey Mouse. But for young professionals, we think of an entrepreneur who has defied all odds to become an American icon. Walt Disney was able to make dreams come true bigger than anyone could imagine. However these dreams did not magically happen, like you, Walt had his fair share of adversity. In fact, the real story of Walt is rarely told. Growing up, Walt had 4 siblings, older brothers Herbert, Raymond, and Roy as well as a younger sister Ruth. As a child, his family moved quite often, due to his father’s failed business ventures. One location that has always been dear to Walt was a farm in Marceline, Missouri the Disney’s moved to when Walt was 4. He often had fond memories of Marceline, in fact, Main St USA in the Disney parks is modeled after the Main St in the town. Unfortunately, these fond memories did not continue. His upbringing was attributed with a dysfunctional family, one of constant moving and eventually where all of his older brothers would run away from home due to the strictness of their father Elias. Walt had his strains as well, he dropped out of school at the age of 16, lied on federal documents to enlist in the war, and then eventually pursuing the art of animation against his father’s wishes. Through this strain, Walt subconsciously always attempted to gain his father’s approval which served as an underlining inner drive to succeed. Walt Disney was not always a success, one of his original companies ended in bankruptcy. 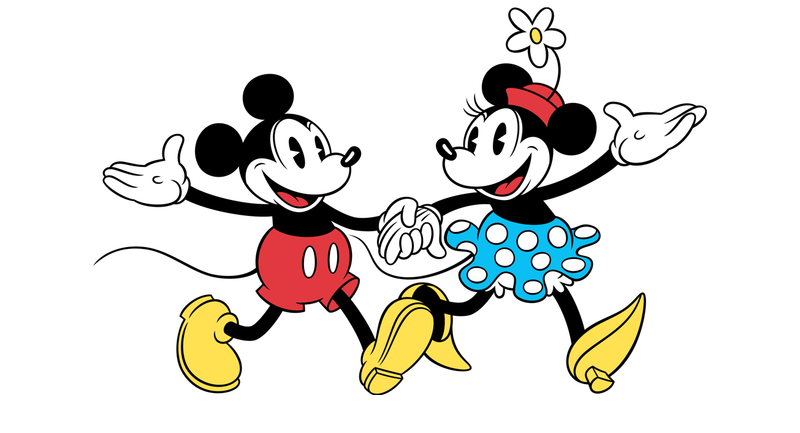 As a struggling cartoonist, Disney started a company in 1920 at the age of 19 called Laugh-O-Gram. The small studio would create short advertising films and cartoons for movie theaters. However, due to poor contract negotiations with a distributor in NY and a lack of revenue flowing in, the company filed for bankruptcy in 1923. If you are facing financial difficulty right now, just think of how Disney was able to rise after a setback. success was Oswald…. the rabbit. Oswald was a financial success, properly funding Disney’s new studio he and his brother Roy created in Burbank, CA. Yet once again, Disney fell victim to poor negotiating. 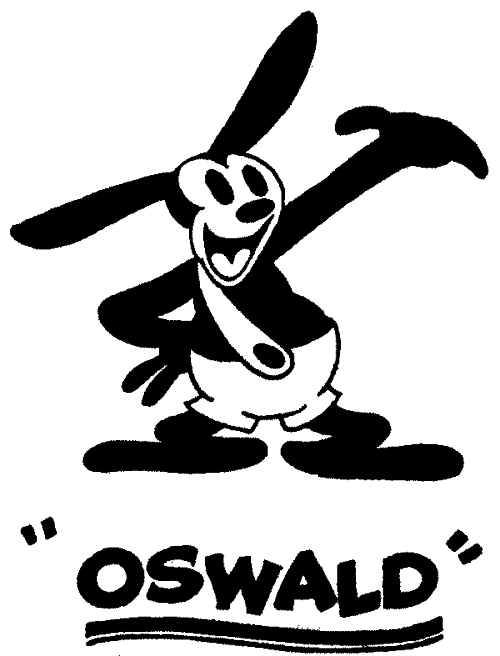 Although Walt created and produced Oswald he never had the rights to the character, his distributor did. When his contract was up for renegotiation, Walt was in for the surprise of his life. First, the distributor failed to renew the contract due to royalty disagreements. Second, not only did the distributor take Walt’s character away from him, but he secretly hired the majority of Walt’s staff while he was in NY for the negotiation. Now Walt was without his award-winning Oswald, and he was without a studio staff. He put his heart and soul into making this iconic figure and his only result was loss. Walt had his entire organization taken from him and yet, he still continued to strive for success. Devastated and destroyed after the Oswald negotiations, Walt and his wife Lilly left NY for a long journey back to CA. However, it was on this train ride home, after such adversity, that Mickey Mouse was born. During the trip back, Walt knew he needed to come up with a new character. He took out his drawing pad and went to work. It was at this time a new character was born, a mouse. However the mouse’s name was not Mickey, it was Mortimer. Yes, you heard that right, Mortimer the Mouse. Thankfully Lilly convinced Walt that name would never fly, and instead recommended Mickey Mouse. And the rest……is history. Though Walt created the concept of Mickey, he didn’t actually draw the character. Instead, one of the cartoonists who remained loyal to Disney, Ub Iwerks, animated the character. This symbol motivated Walt to expand the imagination of what is possible, and to eventually establish the Disney parks. The rise of Mickey Mouse resulted in great success for Walt and his brother Roy. Despite all the negative memories of his upbringing, he remained loyal to his parents. While in his 30’s Walt and Roy bought a house in the Burbank area and gave it to their parents. For Walt, this was symbolic. His father was the man he was striving to gain approval from his entire life, and now, through hard work and defying all odds, he was able to give his father a house. This was Walt’s coming of age moment, completing a full circle of events bringing closure to his childhood. Sadly, this was not the end of the story. The house Walt and Roy purchased for their parents, had a faulty heating system that eventually began to release carbon monoxide into the vents. Shortly after his parents moved in, the carbon monoxide would eventually result in their mother’s passing. This was devastating to Walt. All of his life, he strived endlessly to gain the respect and approval of his father. Then, his longing act of charity for his parents, would be the act that unexpectedly ended in tragedy. Many say this is why Bambi’s mother passed in the legendary movie, also why mother characters are often not seen in Disney movies. His father would too soon pass. This was a difficult time for Walt. However, he desired to turn his tragedy into someone else’s hope. It was this love for his own family that thrived Disney to create experiences for other families to join together, to laugh together, and to grow together. Walt desired for his love of family to transcend into the American, and even worldwide, family. Beyond all the failures and disappointments, Walt Disney proved that you can be successful and overcome any hurdles. He would say, “Get a good idea, and stay with it. Dog it, and work at it until it’s done, and done right.” Right now, you may be an ambitious professional who is facing some hurdles. Take Walt’s success story and model it after your story. Success has to start somewhere, so don’t be afraid of failure. Because if Disney did it, so can you! Next articleHow Much Time Do You Waste Every Day?